Here Are Some Moving WordPress to Cloud IaaS Either From a Traditional Hosting Service. Cloud IaaS is Cost Saving than Dedicated Hosting Services plus performance after tuning will be better. Very few type of websites ever need real dedicated resources – GitHub is an example of perfect need of dedicated resources. Most $200 per month dedicated hosting services are not exactly dedicated at the networking part. We talked about how to test whether you are inside a virtualized environment and fooled as being using a Dedicated hosting service. Most of the Cloud IaaS providers are standard known companies like HP Cloud, IBM Cloud or among the newer Rackspace. Rackspace has questionability of cost effectiveness when you have skilled employees, when compared with IBM Cloud and HP Cloud. It is not exactly easy to plan and execute the right cloud infrastructure to run WordPress smoothly due to inherited character of Cloud – Multitenancy decreases the cost but the way we run WordPress on Cloud IaaS is a bit different than that of Dedicated Server. The basic difference between Amazon, Microsoft and the other group is the cloud software. OpenStack is the standard, most commonly used Cloud Software for developmental purposes. Biggest advantage of OpenStack is the freedom of using hundreds of non-vendor locked tools like the Python Clients. We were on Rackspace for 4+ years, we moved to HP Cloud and felt no fuss because the tools are same. HP Cloud is more towards delivering enterprise grade performance while Rackspace is designed for consumer grade delivery of the resources. We have not found any difference of quality form the support point among these two services. Whatever the brand you use, some great features like OpenStack Floating IP and Snapshot are some features which makes OpenStack frankly the most user friendly cloud software. OpenStack is a Free Software. HP is the highest code contributor to OpenStack, a project initiated by Rackspace and NASA. Digital Ocean costs $10 / month for 1 GB instance versus HP Cloud costs $21 / month for 1 GB instance. But you frankly can not do the easy works on Digital Ocean unlike Rackspace or HP Cloud. Most importantly, why use Digital Ocean when IBM, HP like older reliable brands are present? Everyone know that IBM, HP manufactures the servers. It is obvious that they’ll use their best hardware for the backend – they are buying the stuffs at 50% cost. For CDN and DNS, Akamai is the king. Most providers like HP, Rackspace bundles the services of Akamai with their products. Akamai DNS offers DDoS protection for IaaS. HP Cloud provides virtual router which is absent in Rackspace. But, HP Cloud can be difficult for the users who never used router, switch etc. There is pros-cons among the service providers but frankly you can test all either with the free trial period or in a pay as you go model. HP Cloud’s billing can not seen everyday, Rackspace has clear cut update of almost live billing. HP Cloud sings well on experienced hands. Media Template is good at higher end, which is used by many well standing blogs and corporate websites. For IaaS, we have to first create the platform, then move the website. Not really so easy and entertaining. We mostly do not use one server configuration but a scalable configuration. Scalability is an attribution of Fabric and Cloud Computing. Again, scalability is not exactly the same as service continuity. We can attain near 100% service continuity with a Cloud IaaS with good DNS service. That never means following a basic guide to install WordPress on Ubuntu will give 100% uptime. Because if you restart the services, there will be small downtime. A separate database server is required. Another server is web server at minimum and it is better to have a front end server using Nginx – it can serve the cached webpages in case of failure of the backend. WordPress means PHP – which is a known worst programing language. All uses different types of cache – we recommend to use XCache. XCache is not used by most WordPress Pundits. XCache is modern PHP opcode cacher designed to run on production servers under high load. Xcache is developed by the developers of lighttpd, benchmarks show it performs similarly to eAccelerator and faster than APC. Pundits can not configure XCache when XCache is quite older and Zend Optimizer almost in competition with XCache. Another reason of not using XCache is poor hardware quality. Normally we use Nginx + PHP5-FPM + MariaDB (a MySQL fork) now. Nginx microcache gives the fastest result. It is mandatory to tweak the php.ini file. We talked about www.conf optimization, my.cnf optimization before. These optimizations are provider specific – because we do not know the CPU of the real hardware. From an assumption the tweaks are done and tested many a times with trial and error. That is why we write “Nginx Microcache optimization for Rackspace” or “my.cnf optimization for HP Cloud”. Tweak differs a bit. Plus the networking speed will slightly vary, that also contributes. Google PageSpeed module is only needed when the works can not be done with the web software. 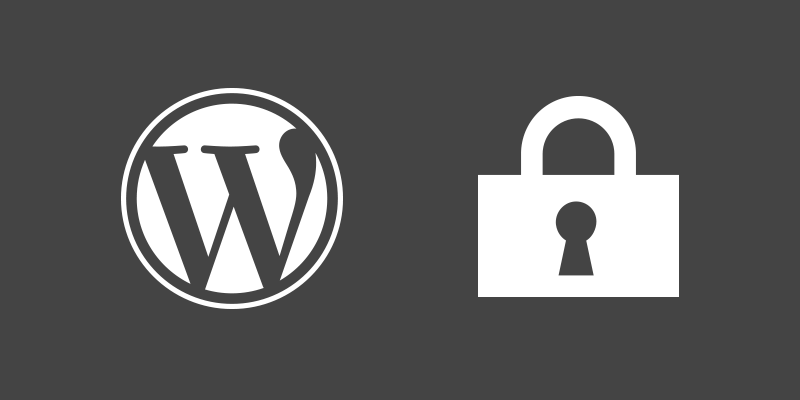 For WordPress, it is not needed. For a forum software, it is a mandatory need as it is difficult to find the modules/plugins/extensions compared to WordPress. Tips For Moving WordPress to Cloud IaaS : One Server Config Will Not Work? Definitely works! In fact, connection to the database will be faster within one instance versus over the network. We divide the load for scalability plus for increasing the security too. For very small expected daily traffic (up to 1K page views per day), 1GB or 2GB single instance will work fine but installing various web GUI panels, web softwares for management including PHPMyAdmin on the same server is dangerous for security reasons. All will know the IP address. We do not recommend using webmin control panel or PHMyAdmin as frankly they are not used everyday, they increases the security risks and eat memory. If PHPMyAdmin is a need, then it can be installed when needed and removed and purged after the need is over. Using command line/SSH is the normal way of managing a server. Now, we are using blank servers to install web softwares for decades, it is normal for us to install WordPress within 15 minutes on a blank server. From day to day experience, we first check the official status webpage of the provider before tweaking. Frankly WordPress is not designed to move from this host to that host everyday. It is not easy to move WordPress with lot of posts, sub directories and custom apps. We usually install WordPress on new instance with IP address, this ensures that WordPress can run fine. Then we replace the fresh installation with backups. If normal MySQL backup fails, XML based WordPress is a good option. MySQL backup can fail while changing the Engine of MySQL, hundreds of faulty plugins, bad previous host etc. Bad web hosts with cPanels get frequently hacked due to absence of network monitoring. You’ll see lot of articles on the web on Hardening WordPress. Without basic mistakes, it is tad hard to hack on HP, IBM or Rackspace. People usually try to save money by using an inferior web host. It is never possible to fight with the script kiddies unless the traffic is filtered by the host by active monitoring. On good web hosts, the hackers will be of higher quality – thats why we talk about DDoS more. This Article Has Been Shared 1140 Times! Cite this article as: Abhishek Ghosh, "Tips For Moving WordPress to Cloud IaaS," in The Customize Windows, May 19, 2015, April 23, 2019, https://thecustomizewindows.com/2015/05/tips-for-moving-wordpress-to-cloud-iaas/.